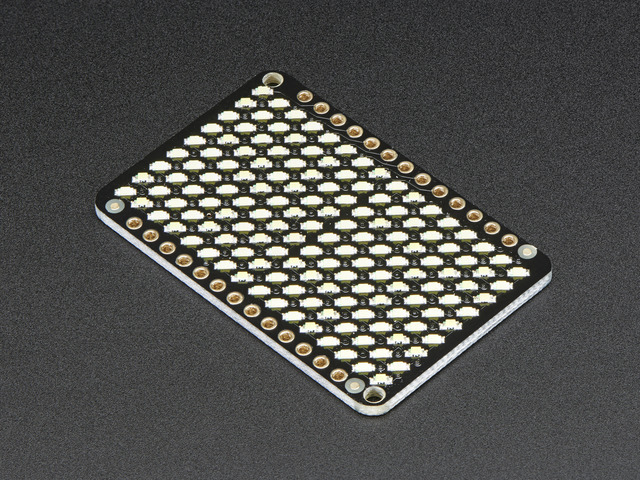 To use the Charlieplex display with your Adafruit CircuitPython board you'll need to install the Adafruit_CircuitPython_IS31FL3731 module on your board. 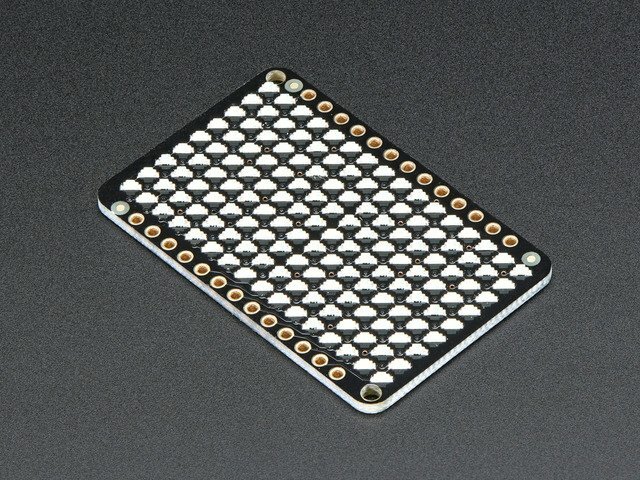 Remember this module is for Adafruit CircuitPython firmware and not MicroPython.org firmware! 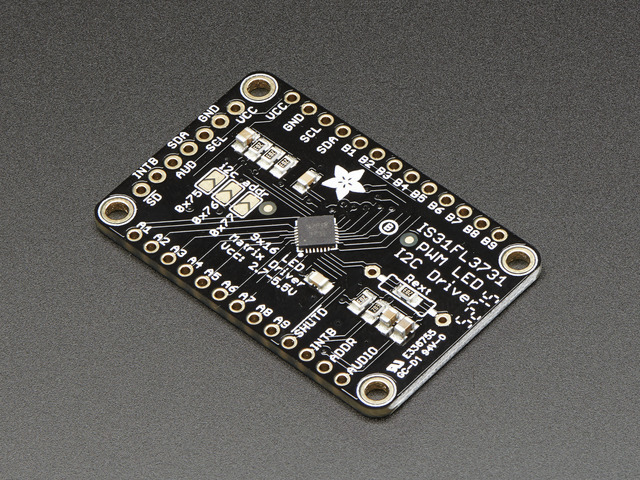 First make sure you are running the latest version of Adafruit CircuitPython for your board. Next you'll need to install the necessary libraries to use the hardware--read below and carefully follow the referenced steps to find and install these libraries from Adafruit's CircuitPython library bundle. For express boards that have extra flash storage, like the Feather/Metro M0 express and Circuit Playground express, you can easily install the necessary libraries with Adafruit's CircuitPython bundle. This is an all-in-one package that includes the necessary libraries to use the IS31FL3731 Charlieplex driver with CircuitPython. To install the bundle follow the steps in your board's guide, like these steps for the Feather M0 express board. If your board supports USB mass storage, like the M0-based boards, then simply drag the files to the board's file system. Note on boards without external SPI flash, like a Feather M0 or Trinket/Gemma M0, you might run into issues on Mac OSX with hidden files taking up too much space when drag and drop copying, see this page for a workaround. If your board doesn't support USB mass storage, like the ESP8266, then use a tool like ampy to copy the file to the board. You can use the latest version of ampy and its new directory copy command to easily move module directories to the board. Before continuing make sure your board's lib folder or root filesystem has the adafruit_is31fl3731.mpy module copied over. The following section will show how to control the Charlieplex display from the board's Python prompt / REPL. You'll learn how to interactively control the display, turn on/off LEDs, control brightness and more by typing in the code below. First connect to the board's serial REPL so you are at the CircuitPython >>> prompt. Matrix - This class represents the 16 x 9 LED grid matrix used by the Charlieplex driver breakout. CharlieWing - This class represents the 15 x 7 LED Charlieplex FeatherWing. Note that you need to pass the I2C bus created above into the initializer for the class. The address parameter can be used with the CharlieWing class too. When the display initializes it will go through and clear each frame (there are 8 frames total) of the display. You might see the display momentarily flash and then turn off to a clear no pixel lit image. 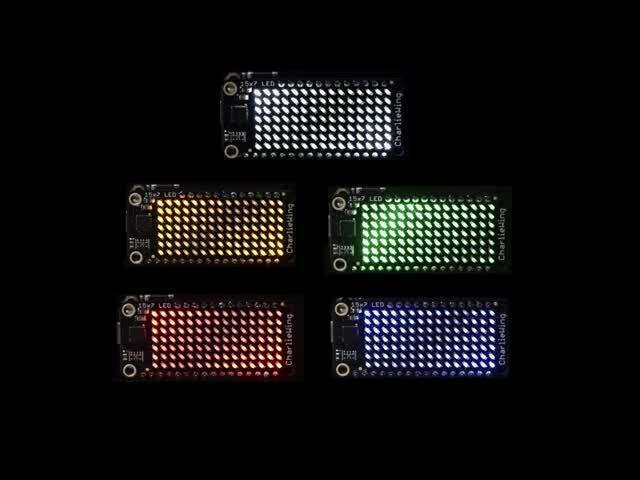 You might notice some buzzing or ringing sounds from the display when all pixels are lit, this is normal as the Charlieplex driver quickly switches LEDs on and off. 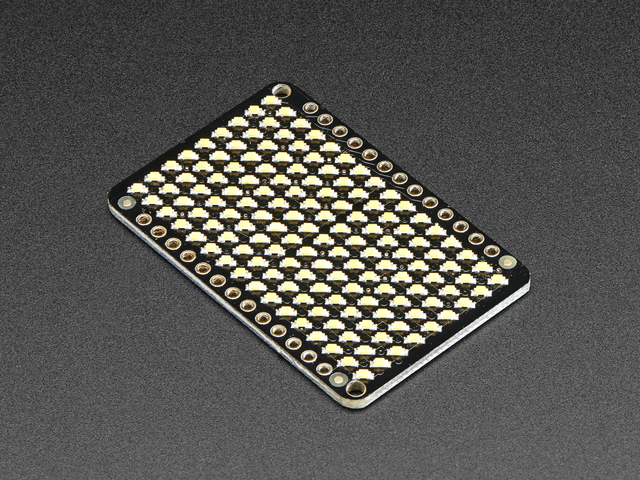 If you've used other displays like LED matrices you might notice the Charlieplex module doesn't need to have a show function called to make the changes visible. As soon as you call fill or other display functions the display will update! Be careful setting all pixels to 255 maximum brightness! This might pull more power than your computer's USB port can provide if you are powering your board over USB. Use an external powers supply or battery when lighting lots of LEDs to max brightness. X position - The location of the horizontal / X pixel position. Y position - The location of the vertical / Y pixel position. Intensity - This is a value from 0 to 255 which specifies how bright the pixel should be, 0 is off and 255 is maximum brightness. Use an in-between value to show a less bright pixel. You can turn off individual pixels by setting them to an intensity of zero. You can turn off the blinking by setting blink=False. Currently the Charlieplex module is very simple and only exposes pixel set commands. In the future more advanced graphics commands like line drawing, text display, etc. might be implemented but for now you'll need to manipulate the pixels yourself. Frame number - This is the frame number to make the active frame for display or drawing. There are 8 frames total, 0 through 7. Show - An optional boolean that defaults to True and specifies if the frame should be immediately displayed (True) or just made active so that pixel and fill commands draw on it but it's not yet shown. display.frame(1)  # show=True is the default, the frame will be displayed! Notice how the first call switches to make frame 1 the active frame but doesn't display it because show is set to false. Then the frame pixel data is changed with fill and pixel commands, and finally the frame is shown by calling frame again but letting the default show = True be used so the frame is displayed. Using frames you can build simple animations by drawing each frame and swapping between them over time! That's all there is to the basic Charlieplex driver module usage! Be sure to see the module documentation for more details on advanced usage. Here's a complete example that randomly turns on LEDs for the Charlieplex FeatherWing. This is good to review all the steps of setting up the display and drawing pixels. You can read the comments to learn more about the random number generation functions in CircuitPython and MicroPython's random module too. Save this file as a main.py on your board's root file system and watch it randomly turn on LEDs to different intensity values. # Charlieplex FeatherWing random pixel drawing demo. # Turn off all the pixels. # Generate random X, Y coordinates within the FeatherWing display bounds. # including the second parameter. # range (inclusive for first parameter, exclusive for second). # Sleep for a short ~10 to 100 millisecond period of time. This guide was first published on Nov 02, 2016. It was last updated on Nov 02, 2016. This page (CircuitPython) was last updated on Apr 08, 2019.